This entry was posted on March 2, 2015 at 11:00 am and is filed under Drama, Family, Sports with tags 2015. You can follow any responses to this entry through the RSS 2.0 feed. You can leave a response, or trackback from your own site. Sorry to hear that. But don’t worry. There hasn’t been a lot worth watching at the cineplex lately. McFarland, USA was a rare exception. Too bad nobody saw it. This didn’t really appeal to me at all when I watched the trailer, but it’s been getting better reviews than I expected. Maybe I’ll check it out at some point; probably on DVD, since there are several new movies coming out and spring TV is really heating up. I’ll admit the movie doesn’t look like it would stand out. Perhaps not a film to rush out to see at the theater, but definitely well worth your time on DVD. I really liked this. I laughed, I cried and I cheered. It wasn’t the best written movie, by far. But it worked. I always like these types of movies anyways. So for me, I give it 4 stars. The picture was very satisfying for what it was. 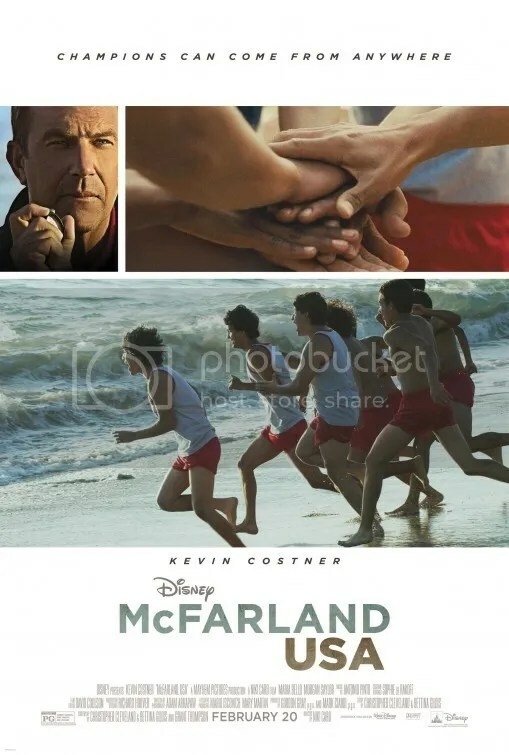 I didn’t consider seeing McFarland, USA in theaters because I’m not a huge fan of Kevin Costner. I’m pleasantly surprised to hear that there’s an honesty to the performances and that you actually get to spend enough time with characters to hear their individual stories. That’s something often lost in sports films. And although I tend to be annoyed by how cliche certain beats have become in this genre, I’ll admit I can be sucker for genuine heartfelt stories like this. So maybe I’d enjoy this even though Kevin Costner’s in it?